You can enroll in an online postage service like Vipaprcel.com or purchase the postage directly from the USPS website. If you have a letter or package to send, you can determine how much postage is required. To do so, you weight the letter or package on an electronic scale and then enter that information into the online postage system. It will determine how much postage is required. You can then purchase the necessary postage by using a credit/debit card. 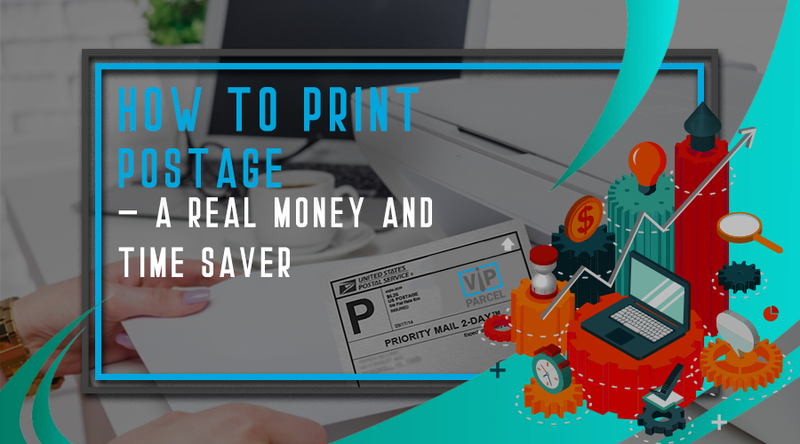 Once the postage is purchased, it is now time to print the postage from your home or office printer. The service creates an online version of the postage which could be in the form of a pdf file. The online postage can then be printed either directly to an envelope or to a mailing label for application to the package you choose. The great thing about printing your postage is that you can also normally print out a mailing label at the same time. This saves extra time in addressing the letter or package separately. It is also interesting to note that you can typically save money by using online postage. As a matter of fact, there are discounts of between 5% to 10% on the cost of priority mail or express mail service if you purchase the postage online. And these kinds of services also allow you to print the mailing label along with the postage so you can attach it to the package and save the extra time and hassle. The great thing about online postage programs is that it allows you to track your monthly postage expenses very closely. You can review who you sent packages to and how much cost was involved. This type of review is great for small businesses who want to track their expenses quickly and easily. It is also a great tool to keep track of expenses for taxable purposes. Normally you can use just about any inkjet printer for printing postage. Many printers have adjustments so you can feed envelopes through the printer directly. Again this saves time and hassle. And most inkjet printers can also easily feed and print on self stick label stock. If you decide to print the mailing label at the same time, you can purchase larger sized self stick mailing label stock which can accommodate both the to/from address and online postage. So take advantage of the cost savings and time savings by printing postage from your home or office printer.